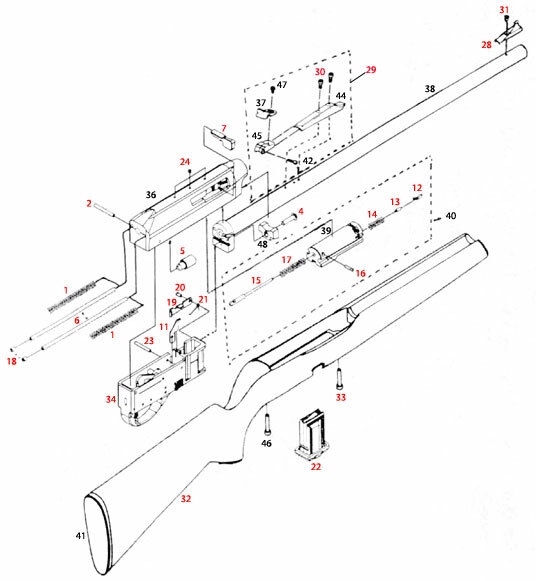 List of the available spare parts for the Remington 597. This list will be regularly updated with new parts. It’s good to have repair kit which includes: extractor, firing pin, firing pin spring, bolt buffer and other parts.